Founded in Australia in 1988, Crushing & Mining Equipment (CME) is a subsidiary of H-E Parts International; the world's largest independent supplier of parts, remanufactured components and equipment to the global mining, quarrying and heavy construction industries. CME is a market leader in the supply of materials processing products and services to the mining, quarrying, materials processing and handling industries in Australia, South East Asia, Africa and the Middle East. CME’s core businesses are the supply of world class LinerSafe® manganese crusher liners, fixed and mobile plant, associated parts and service. CME’s engineering division is adept at designing manganese liner profiles to meet customers’ product requirements, and are capable of offering continuous improvement and wear management solutions. CME operates under strict guidelines in accordance with AS/ NZS ISO 9001:2008. 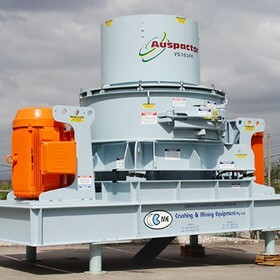 We consider ourselves to be well placed in the industry with a wide range of quality products along with a growing inventory of crushers and spares including ElJay, Symons and Jaques. With a large inventory in our Australian branches we are able to service most emergency and routine requirements at short notice. CME has a skilled engineering department that uses CAD software and engineering desktop. The team is able to quickly engineer a simple part, program a CNC plasma cutting machine and design and create build lists and working drawings for complete crushers. We check our designs using finite element analysis and are able to carry out on-site measurements and improvements. CME is able to undertake large jobs and can supply experienced site teams at short notice. Our teams are all MARSCTA inducted and able to work above or below ground. We can assure you of our commitment to expedite your repairs on time and within budget, with a high regard for occupational health and safety.